So you’ve settled into your student life and are getting on with your studies, but do you know how to stay safe when at university? Cardiff is generally a safe city, but it’s still important to take precautions to ensure your own and others’ safety. Always be aware of danger, especially when out at night. Keep your valuables tucked away in a zipped pocket or bag – the more secure the better. If you live in University Residences, it is a great idea to save the Cardiff University Security phone number in your phone, in case you get locked out or experience a violent/abusive situation. Knowing who to call and when is always important. You can pick up a free personal alarm from Cardiff University Security located near the Students’ Union on Park Place and carry this around in case of an emergency. Alternatively, you can download the PanicGuard app to turn your phone into a personal safety device. If you experience emotional, psychological, physical or sexual violence, please don’t hesitate to get in contact with our specialist trained support team. 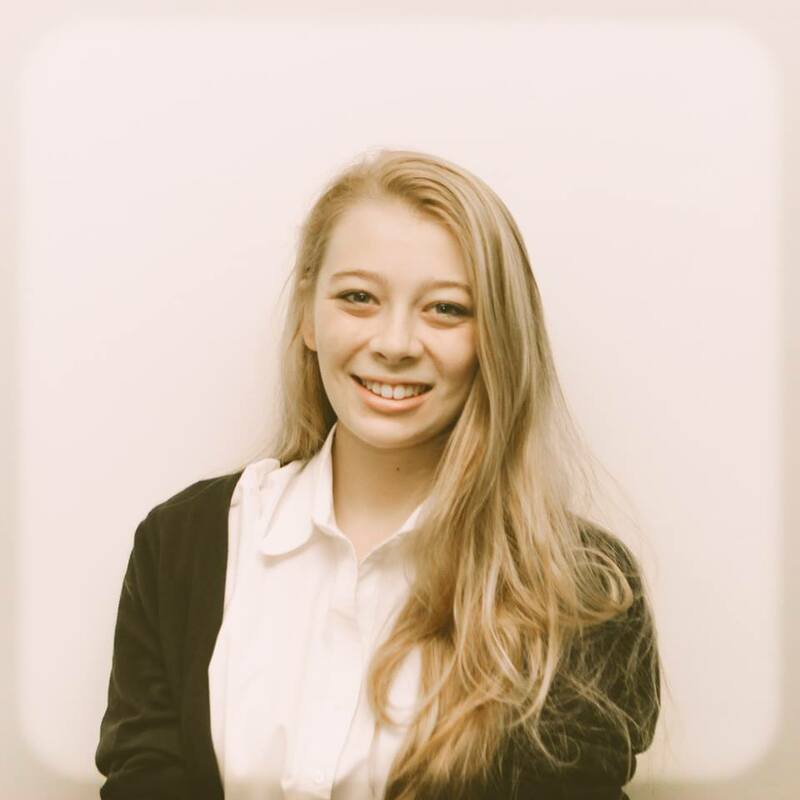 search: ‘Violence and Abuse’ on the student Intranet for more. When on a night out it can be easy to make decisions you may later regret. This is because alcohol lowers our inhibitions which leads to impaired judgement. This can result in risk taking. Always take care of yourself and your friends and drink responsibly (read our blog on drinking safely here). Never let a friend who is drunk go off on their own. You would want someone to do the same for you. Equally, don’t be the lone wolf! It goes without saying that you should never leave your drink unattended in public places, but this also applies to accepting drinks from strangers. It may seem like a kind gesture (and you may be skint), but it’s far better to be on the safe side. Always sit in the back seat of a taxi, behind the driver (especially if you’re alone), and have the money ready upfront. If you run out of cash on a night out, do not walk home alone. 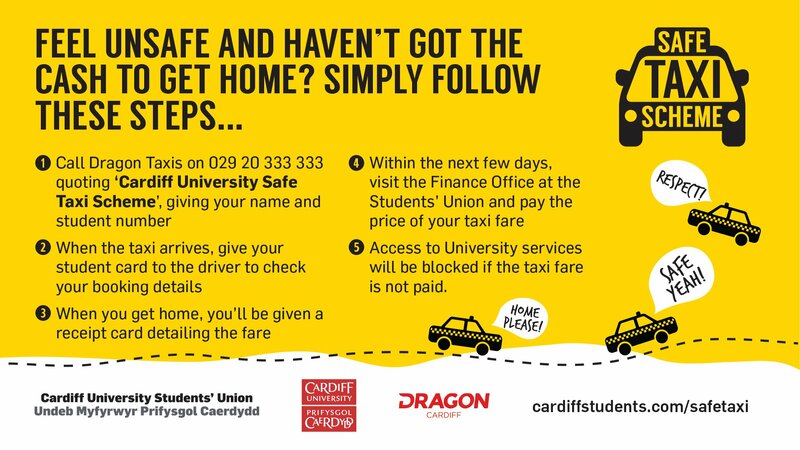 Simply order a taxi using your student number with Dragon Taxi either by phone: 029 2033 3333 quoting the ‘Cardiff University Safe Taxi Scheme.’ The fare will then be charged to your student number and you can pay the Students’ Union the next day! Bicycles: Have you brought a bicycle with you to travel to and from lectures? Be sure to insure it and buy a top of the range D-lock from the friendly folk at Cardiff University Security to deter thieves. Lock the frame and back wheel of your bike to a parking stand and lock the front wheel with the cable and a second lock. You can purchase a D-lock for as little as £18.50 and you’ll receive peace of mind that your bicycle is safe. Record the serial number of and photograph your bicycle just in case the worst should happen, this means there is a far greater chance of it being returned to you! At home: Always remember to lock doors and windows when leaving your student residence. If you’re likely to forget, tape a reminder to the front door to help you and your flatmates out. If your home is going to be unoccupied for a long period of time, take all your valuables with you and consider purchasing a plug in timer for a few lights about the home to give the impression someone is in. Off on a night out with the whole house? Be wary of the question ‘All your housemates out tonight?’ and what you post on social media! Don’t make it obvious that your house is completely unoccupied. Top Tip: Register your valuables with immobilise.com for free and report it if it does go missing. This information will then be made available nationally to all major UK Police forces, making it more likely that your beloved item will be returned back to you. Hopefully you will always be safe and enjoy every minute of your time here at Cardiff University, but never be afraid to get advice or help from Student Support and Wellbeing if you feel in any danger. Have a wonderful year! Your contents are too straightforward to browse and easy to understand. Thanks for describing an informative post in such a fine manner. Thank You for sharing this tip which is very necessary for personal safety. Blog post can be a very good way to interact with others and involve in new and relevant discussion. Amazing article, You have explained every point in a good manner and in a efficient way. The tips are amazing and content is good.